TRACKLIST BELOW © 2014 Abora Recordings LLC. Follow the Abora Recordings Soundcloud profile here: https://soundcloud.com/aborarecordings. 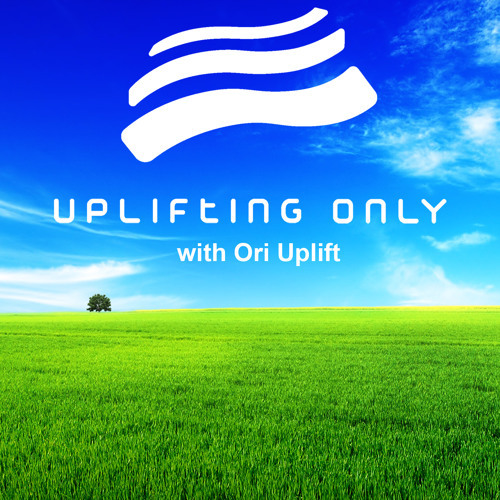 Follow Ori Uplift's Facebook here: http://www.facebook.com/oriuplift Uplifting Only with Ori Uplift: Episode 089 (incl. Ahmed Romel Guest Mix) The Best in Orchestral Uplifting & Uplifting Trance Show information at www.upliftingonly.com. All tracklists & links at http://tracklists.upliftingonly.com. With a special guest mix by Ahmed Romel! And with 2 world premieres! TRACKLIST: Uplifting Only 089 (Oct 23, 2014) (incl. Ahmed Romel Guest Mix) 1. [0:00:30]: BREAKDOWN OF THE WEEK: Blue Silence & Matt Chowski - Legendary (Matt Chowski Mix) [Nile Tunes] 2. [0:04:52]: PRE-RELEASE PICK: New World - Ushio (2013 Mix) [Abora Skies] [WORLD PREMIERE] 3. [0:11:23]: FAN FAVORITE: Tycoos - When It All Falls Apart [Synchronized Melodies] 4. [0:16:56]: Alex M.O.R.P.H. - Sacred Heart [Vandit] 5. [0:22:01]: Kelly Andrew - Wonderland (Orchestral Trance Mix) [Abora Skies] 6. [0:28:26]: Moonsouls - Sparkles [Infrasonic Pure] 7. [0:34:14]: Mike Septima - Ronin (John Sunlight Remix) [D.MAX] 8. [0:39:34]: Burak & Emre - Revival (TrancEye Remix) [Equinox] 9. [0:44:29]: Tolga Uzulmez - Jerbera (Manuel Rocca Remix) [Equinox] 10. [0:49:25]: SoundLift - Sevan [CDR] 11. [0:55:12]: Adam Nickey - It's Alright [Infrasonic Pure] 12. [1:01:15]: Driftmoon & Andy Blueman feat. Dsharp - Leviticus (Ahmed Romel Remix) [CDR] 13. [1:03:50]: Psymes feat Spins - Tethys 2014 [D.MAX] 14. [1:14:46]: Paul Rigel & OBM Notion - Reminiscence [Vital Soho] 15. [1:19:58]: Ahmed Romel & Hazem Beltagui - Nihavent [Blue Soho] 16. [1:25:18]: Time2Rest - Nature Poesia (Emotional Mix) [Beyond the Stars] 17. [1:30:11]: Hristian Hristov - Hold On (Philippe El Sisi Remix) [Blue Soho] 18. [1:34:09]: Myk Bee - Sarabande In D Minor [CDR] [WORLD PREMIERE] 19. [1:40:41]: Dreamy - Outraged [Discover Digital] 20. [1:46:01]: James Dymond & Harmonic Rush - Dymond Rush [Damaged] 21. [1:49:17]: Magic Sense - Rain (Mhammed El Alami Remix) [Sub.Mission] 22. [1:54:50]: Ahmed Romel - Yarden [FSOE] ----------------------- Remember to vote for your favorite songs! http://j.mp/uovote. Ori cares about what you think! Voting results for all episodes can be found on Facebook at http://j.mp/uoresults. To sign up for weekly tracklist emails, go to http://j.mp/uosignup. Each week, each Thursday, a new episode airs on DI.fm (Epic Trance channel) at 1200 EST/EDT, which usually corresponds to 1800 CET / 2130 IST. It is posted to Soundcloud, Mixcloud, & iTunes as a podcast soon thereafter. First time hearing this tune, it's amazing! @itzkowii: Thanks so much! Will do! My God, what a track!!! If i vote for fan favorite in this episode it won't be fair because all of them are fascinating...!! Now this one is amazing!!! Soundlift, what a true genius! In a State of "U P L I F T I N G T R A N C E "
This track of Kelly Andrew should get more hits ! It deserves a lot more ! Superb Tracks so far ! so beautiful this breakdown is!! <3 <3 <3 The best New World release ever. New World - Ushio, this track is absolutely incredible! Very nice for a weekend!!! Thanks for the show!!! Dreamy,this guy is on fire ! Thanks for huge support Awesome!